Bhopal/Sheopur: Despite being in ruins, the magnificence of the Sheopur fort on confluence of three rivers – Seep, Kadawal and Aheli in Sheopur district is obvious. And soon, history and archeology enthusiasts would be witness to past resplendence of the 1000-year-old fort, thanks to the support of World Monuments Fund (WMF). The WMF has released Rs 62 lakh to the MP directorate of archaeology, archives and museums for the restoration work on the force. 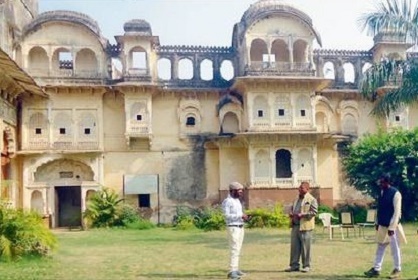 A Gwalior-based firm has been awarded the contract and has already started the basic work for restoration. The Sheopur fort is a massive structure and once an attraction for visitors. However over the past few decades it fell into ruination with parts of the fort collapsing and shrubbery growing over. The beautiful Rajput style paintings and polish on the walls also started to get damaged. Under this first phase of restoration, the overgrowth would be cleared and the walls and arches would be strengthened. Once successfully completed, the WMF is expected to approve second phase restoration on the fort. The Sheopur fort, built sometimes in 11th century AD has a long history of Rajput and Maratha rulers. According to available documents, King Ajaypal lived in the fort in 11th century while in 18th century it was captured by Marathas under Daulatrao Scindia. The fort also has memorials of rulers Kishordas and Indrajit Singh of early 19th century. Post independence, some state government offices were housed in the fort. Later, it was declared a dead monument, but local people continued to conserve it partially. Few years ago, the state archaeology directorate declared it state protected. The WMF approved the project especially because of the Rani Mahal that has exquisite Rajput style of architecture. The very special polish of shells and paintings in Rajput style are the highlights of this Rani Mahal.